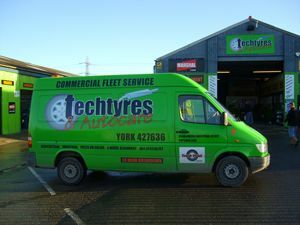 Looking for high quality tyres in York and the surrounding areas? 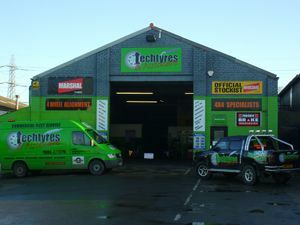 Whether you are looking for a new set of high performance tyres for your car or you need help with repairs and servicing, please don`t hesitate to contact the experienced vehicle specialists here at Tech Tyres Ltd.
We are one of York`s leading independent tyre specialists with a wealth of experience and knowledge within the auto trade ensuring that we are your ideal choice to contact when you need help with bodywork repairs or new exhausts. Why not call us on 01904 409 795 to find out more or to book your vehicle in for repairs today? The list above is by no means our complete range of services, with many more available including puncture repairs, wheel balancing and alloy wheel repairs also available. If you need something other than the above, please don`t hesitate to call our team here at 01904 409 795 today and we`ll be happy to help in any way required. You can also get in touch with our garage to arrange servicing and MOTs by visiting our garage or through our email contact form. So whether you need help with car servicing, accident repairs or a new set of tyres in York and the surrounding areas, we`re just a phone call away!